IJMAE reports on cutting-edge research in all branches of the practice and theory on advanced materials and production. The aim is to publish research of high quality and of lasting significance on the materials and production. The scope is broad, from fundamental concepts in materials and production to the analysis of novel phenomena and applications. The approach can be experimental, computational or theoretical. The journal is an archival peer-reviewed international journal publishing the following types of papers: 1) research papers, 2) reports on advanced case studies, 3) reports on major material and production projects, 4) literature review. IJAMP also encourages the exchange of ideas between chemists, physicists, material scientists, biomedical researchers, engineers and other researchers who are active at the frontiers of this diverse and multidisciplinary field. 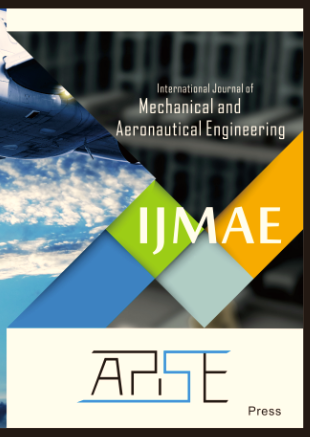 IJMAE is an international open access journal. Users are free to read, download, copy, distribute, print, search, or link to the full texts of these articles without requiring a subscription to the journal in which these articles are published. Academic ethics are the necessary fundamental principle of research and the foundation for scientists’ and engineers’ reputation. To promote academic integrity and publish high-quality scientific works, IJMAE issues the Publication Ethics and Malpractice Statement about the expected ethical behavior for all parties related to IJMAE publication. What’s the process of publication of my paper? The journal receives submitted manuscripts via email only. Please submit your research paper in .doc or pdf format to the submission email: ijmae@apisepress.com. You’ll be given a paper number if your submission is successful. Your paper then will undergo peer review process, which may take approximately one and a half months under normal circumstances.